The Emergency Maintenance has been completed at the time below. * Maintenance time is subject to change. As an apology, we will be gifting all players with 500 Gems two 50-Stamina Tickets. *Gift is subject to change. 30 days starting from Jan. 15, 2019 1:00 a.m. (PT) / 9:00 (UTC). * Gifts will be sent out sequentially, so the expiration timing may be slightly off in some instances. All players that created their accounts before Jan. 14, 2019 9:50 p.m. (PT) / Jan. 15, 2019 5:50 (UTC). 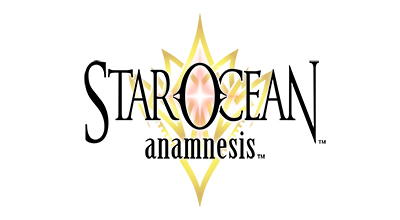 An issue where Network Technical Difficulties caused players to be unable to access STAR OCEAN: ANAMNESIS. On Jan. 14, 2019 9:50 p.m. (PT) / Jan. 15, 2019 5:50 (UTC) to Jan. 15, 2019 1:00 a.m. (PT) / 9:00 (UTC), we addressed a Network Technical Difficulty that caused players to be unable to access STAR OCEAN: ANAMNESIS. ・Please refer to the corresponding news for more details. ・Details listed in the news are subject to change.